Introducing Business Smart Plus with INKvestment cartridges - an innovative, cost-effective, high-volume printing solution for your small office or home office. 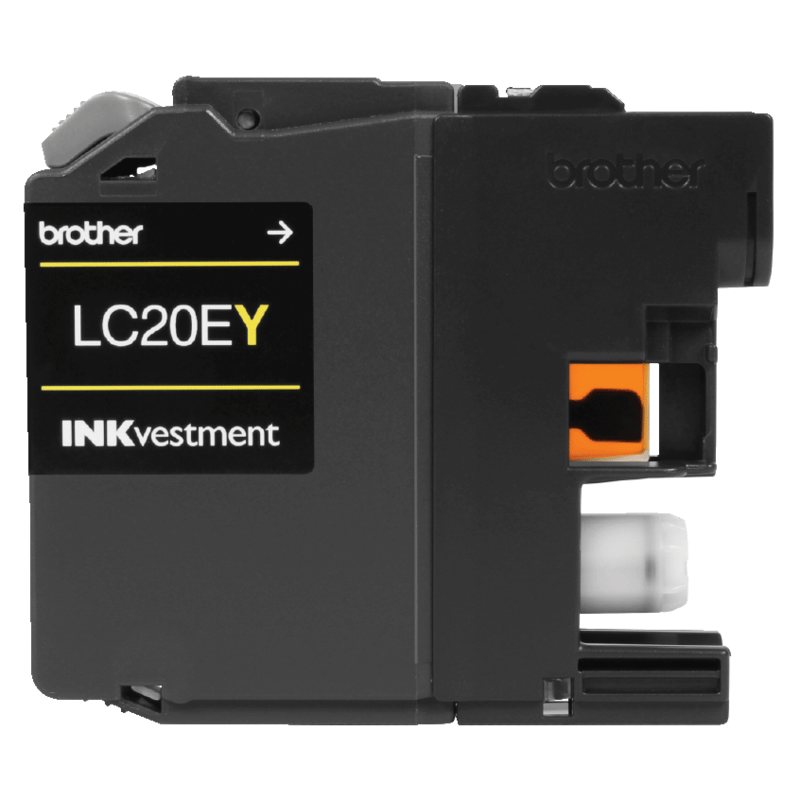 Brother created INKvestment cartridges to provide larger print volume businesses a budget friendly solution with 2400 page black cartridges for under $25 and 1200 page color cartridges for under $15‡. 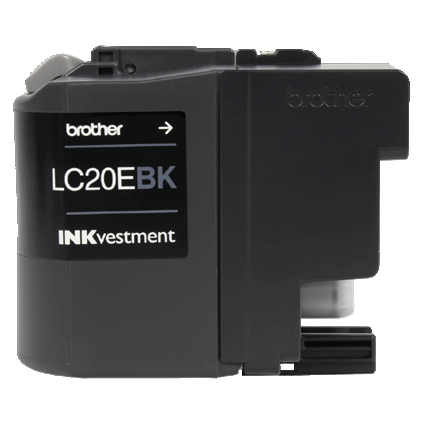 INKvestment cartridges provide less than $0.01 black cost per page and less than $0.05 color cost per page‡. The MFC-J5920DW features convenient single-pass duplex scan/copy, dual paper trays and ships with Super-High yield INKvestment cartridges‡, making this machine the perfect high volume printer for your business. Additionally, the MFC-J5920DW offers enhanced cloud‡ and mobile connectivity‡ so you can print on the go with ease. 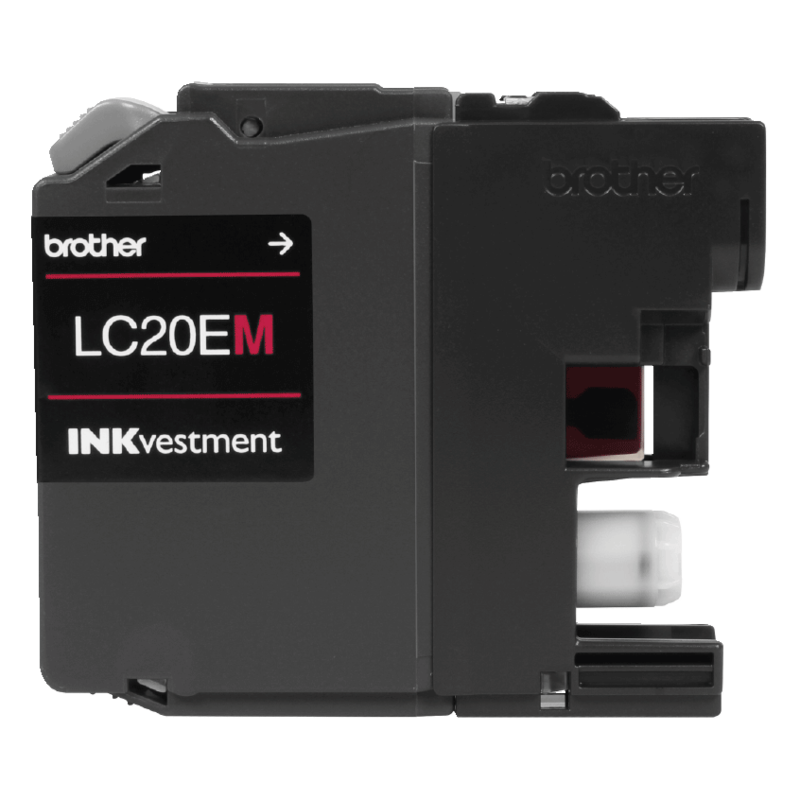 Spend less for more pages with INKvestment cartridges: 2400 page black cartridges < $25 and 1200 page color cartridges < $15‡. 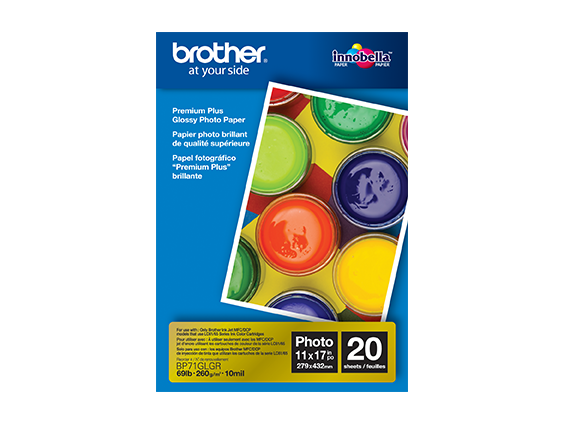 Super low printing costs:< $0.01 black and < $0.05 color cost per page‡. 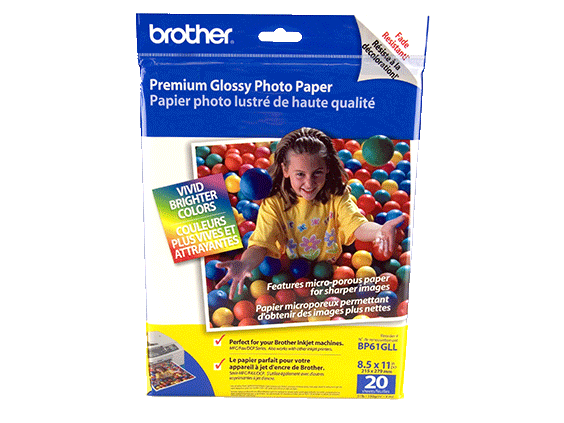 500-sheet dual paper tray total capacity up to 11"x17". ADF up to 50 sheets. 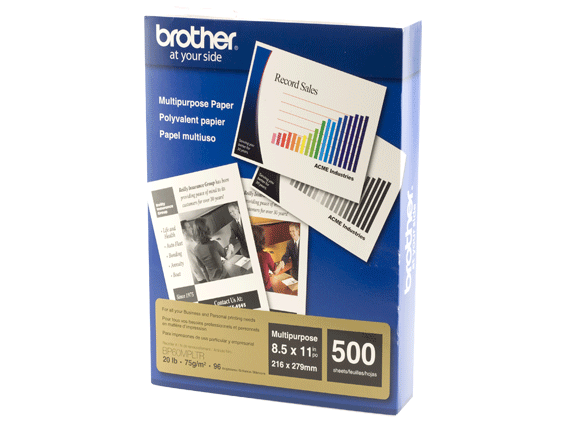 Multi-purpose tray offers convenient printing of specialty paper and envelopes. Accepts up to 80 sheets of 8.5"x11" or up to 5 sheets of 11"x17". This all-in-one printer features single pass duplex scan/copy and automatic duplex printing. 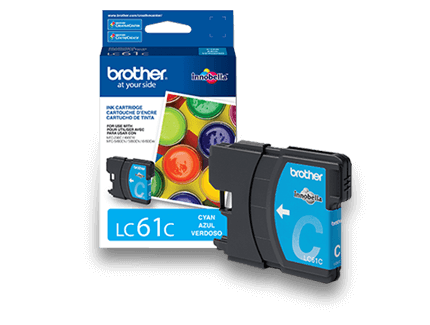 Wireless printing from a mobile device via‡: AirPrint™, Google Cloud Print™, Mopria™, Brother iPrint&Scan, and Wi-Fi Direct®. 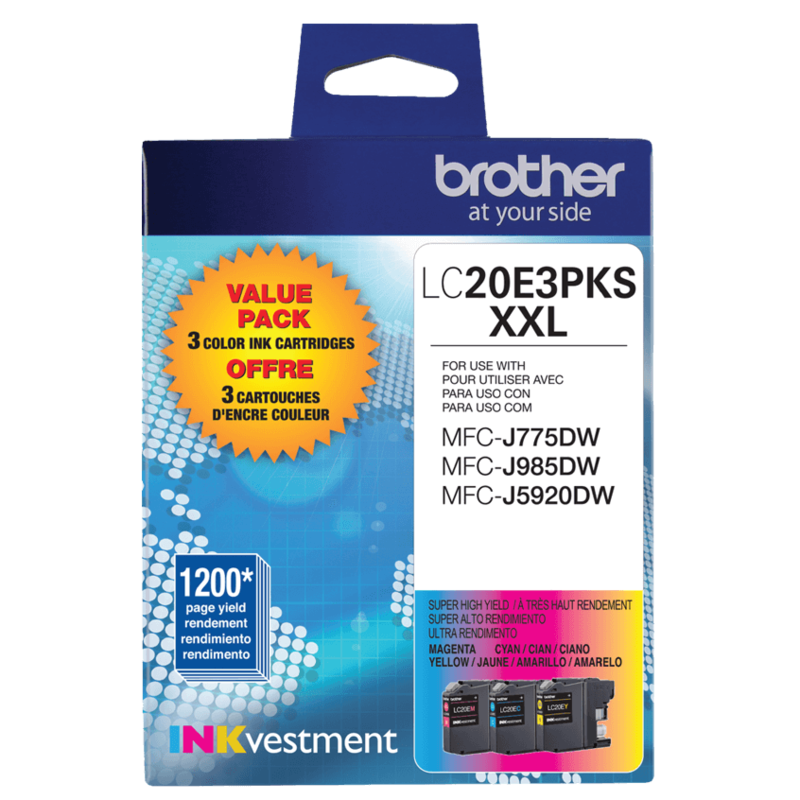 Fast print speeds‡:Up to 22ppm black / 20ppm color (ISO/IEC 24734). Easily navigate onscreen menus on an intuitive 3.7" TouchScreen display with swipe functionality. 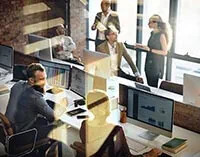 Scan to popular cloud services via Web Connect including Google Drive™, Dropbox, Evernote® and Evernote Business® , OneNote and more‡. 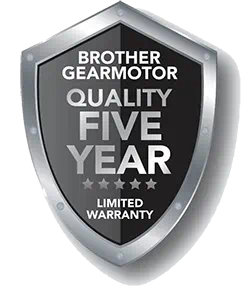 The Brother MFC-J5920DW comes with a 2-year limited warranty and free phone support for the life of the product. 23.3" x 16.6" x 15.9"
19.3" x 13.6" x 12.1"
Best Transmission Speed (approx. sec./page)‡ Based on ITU-T test chart with highest available coding method and standard resolution. Brother Cloud Apps‡ Requires internet connection. 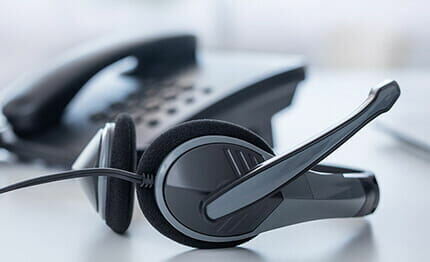 For more details, visit www.connectprintshare.com. "In-box" Consumables/Yield‡ Actual yield of starter cartridge will be approx. 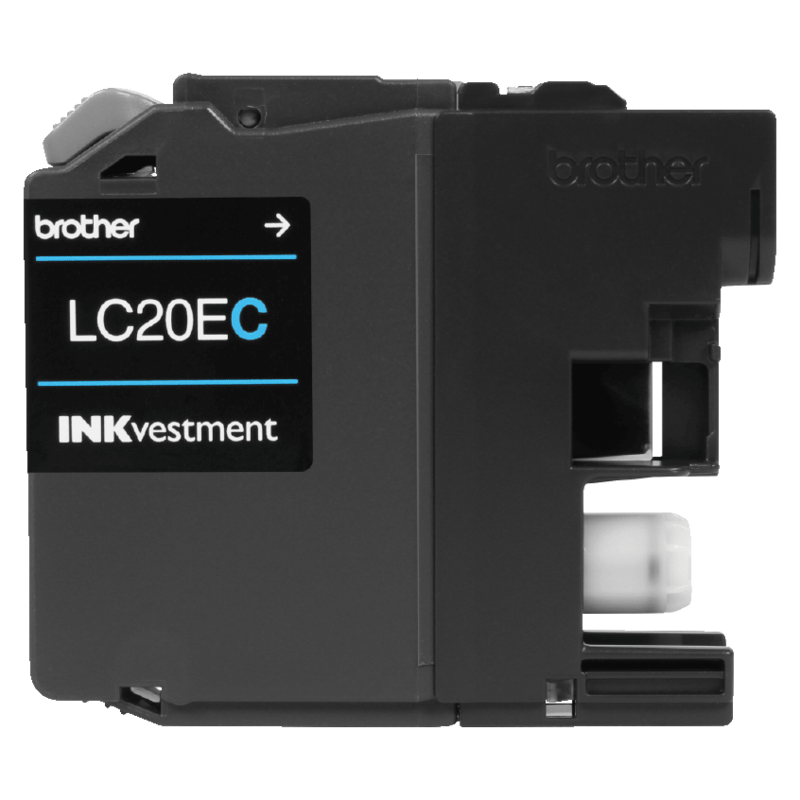 90% of replacement LC20E Black, and 45% of replacement LC20E Color Series, due to ink system initialization. Approximate page yield in accordance with ISO/IEC 24711. ISO-based Copy Speed (black)‡ Copy speed using ADF. Based on ISO/IEC 24735. Click here for inkjet print speed methodology. Web Connect‡ Requires Internet connection and an account with a desired service. See www.connectprintshare.com for more details. FLICKR is a registered trademark of Yahoo! Inc. GOOGLE DRIVE and PICASA are trademarks of Google, Inc. Use of these trademarks are subject to Google Permissions. EVERNOTE is a trademark of Evernote Corporation and used under a license.